I decided to take my daughter’s advice and put the seedlings beside the back door. 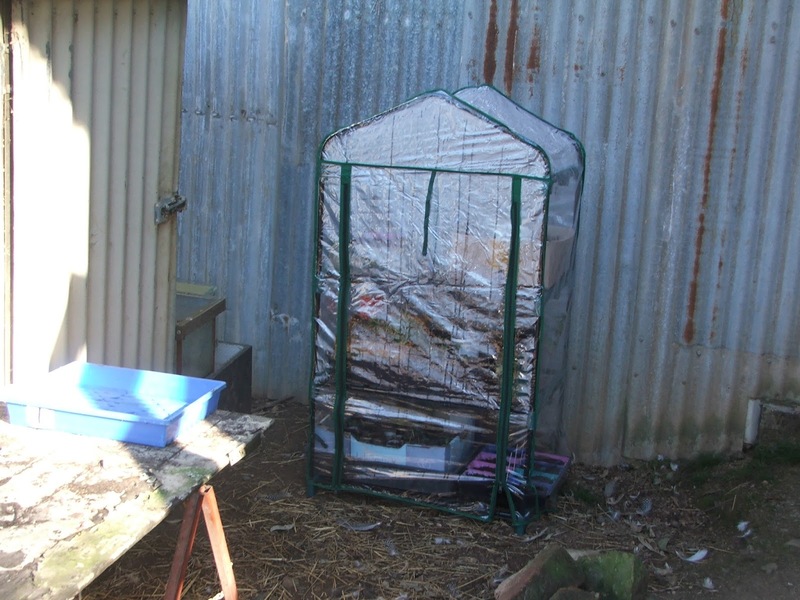 I didn’t have to move the sick animal aviary after all because I bought one of the little plastic covered green houses suggested by Jacqui (Dusty Country Road blog) and put it in the most protected position I could find, as also suggested by Jacqui. 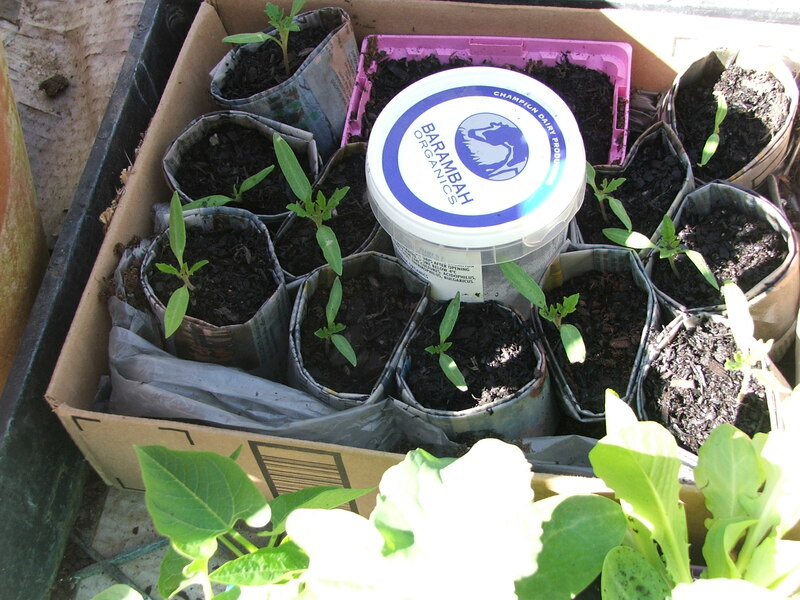 The little green house is now full to the brim with seeds planted in punnets and newspaper pots. The new seedling raising area. My potting table is to the left against the aviary wall and the little green house is full of enthusiasm. Some of the seedlings in my little green house. Roma tomatoes potted on from a punnet I bought. 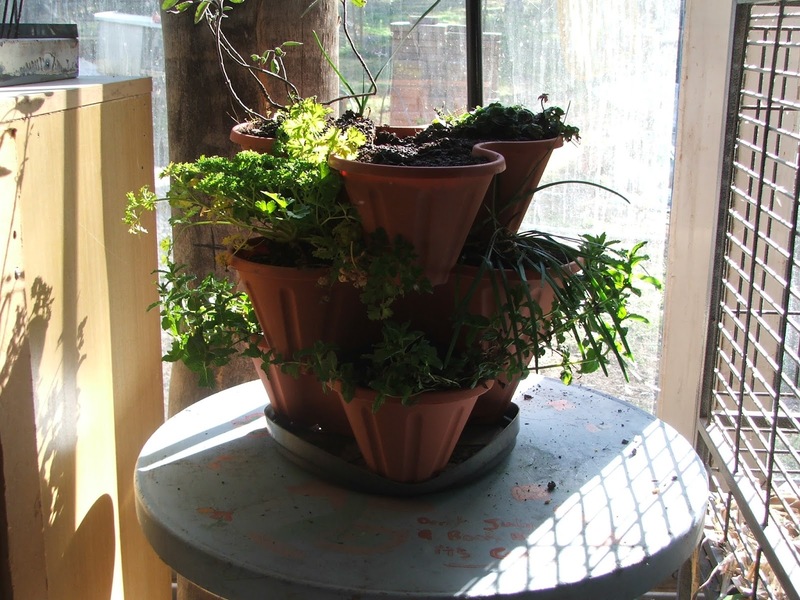 These are bound for the school gardens I am custodian to. 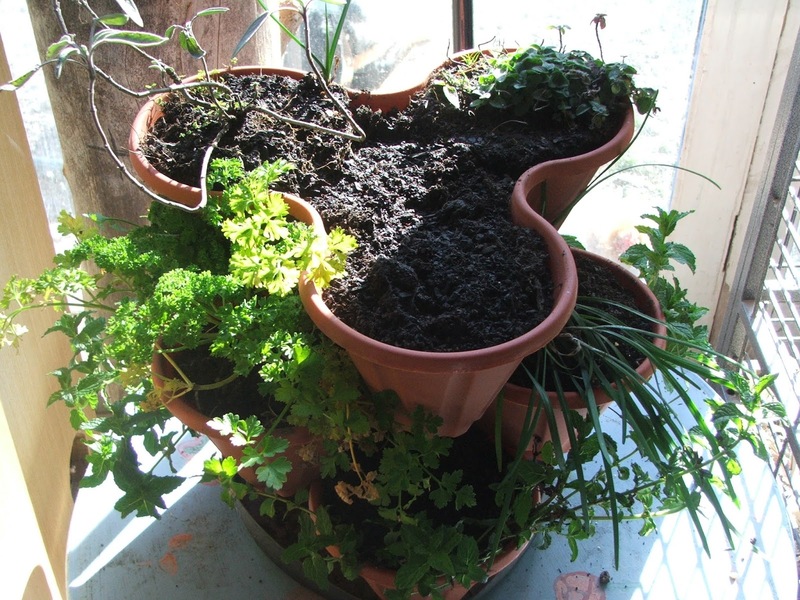 In an excess of enthusiasm I also potted some herbs into an indoor herb tower which will live beside a North facing window in the kitchen and hopefully result in us having lots of parsley, chives, oregano and mint added to our meals (not all of them together, obviously). 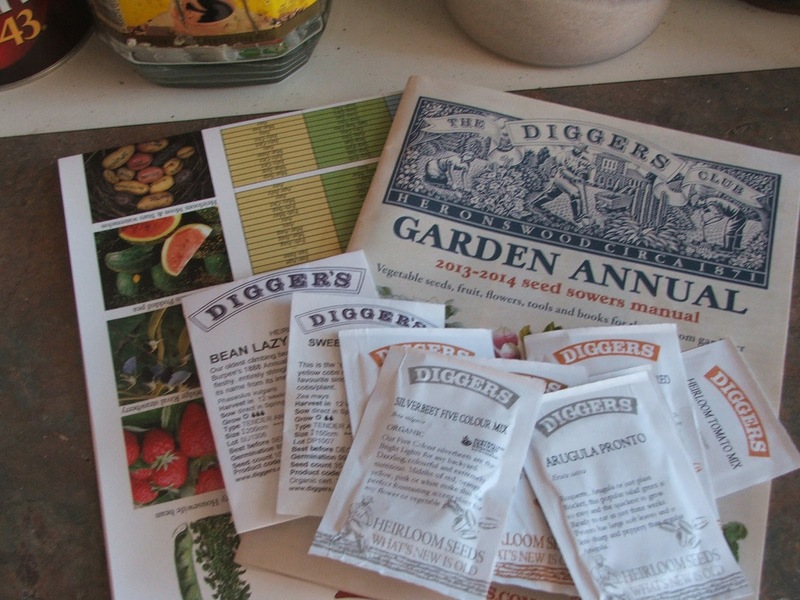 The next challenge for me is to complete stages 3 and four of the Hugelkultur beds so I can plant out all these new seedlings. I have given myself a month to do that. Wish me luck. I am finding that setting myself goals that have to be met by a certain time is helping me to get things done in the garden. What techniques do you use to get things done? Hope they grow well for you! I better get into gear and get my own going now..
Maybe we can inspire each other.